Troy Brownfield is a longtime comics fan, who's also done things like using them to teach in his English classes and reviewing them as the former chief of Newsarama's Best Shots team (he's also been known to contribute here from time to time). 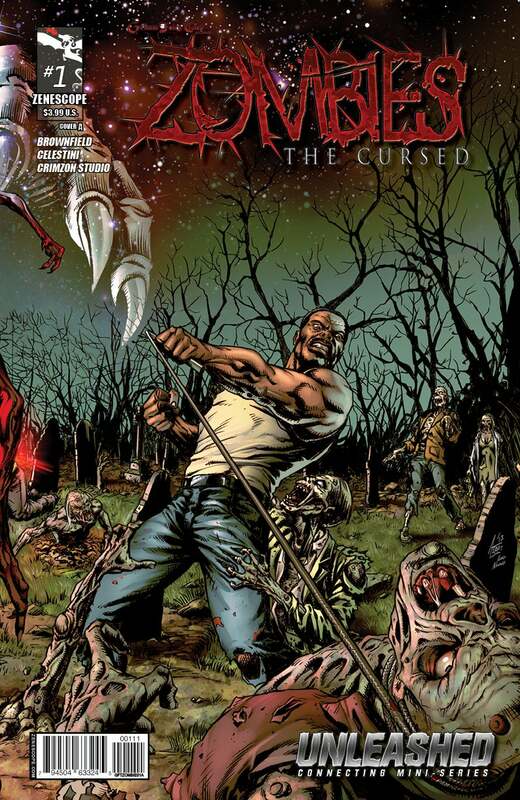 Zombies: The Cursed, part of Zenescope's UNLEASHED event. 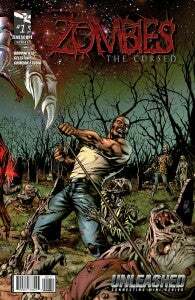 Zombies #1 came out a couple of weeks ago, and it's now available on Comixology as well. The Zombies mini focuses on Elijah, one of the hunters that was introduced earlier in Unleashed. Like the other hunters, Elijah's story really begins in the 1800s; unlike the others, Elijah was an escaped slave. He's burdened with this trauma and heartbreak that comes out of his past, and his mission in the present ties into this pervasive sense of guilt and duty that's become ingrained in him over the years. The mini is drawn by Oscar Celestini; he's from Italy and he's done an incredible job on this book. He did all three issues, too, which I think is worthy of note. There WILL be more Sparkshooter. Artist Sarah Vaughn and I have been talking regularly about how we're going to finish Chapter 2, and then moving into the next phase. More news on that in the future. As for the "brother strip" Solo Acoustic, our 22nd installment drops this week. Artist Ben Olson's been doing a great job and has a real flair for the humor of it. Solo Acoustic is about solo acoustic musician Will Border and his tortures and travails. 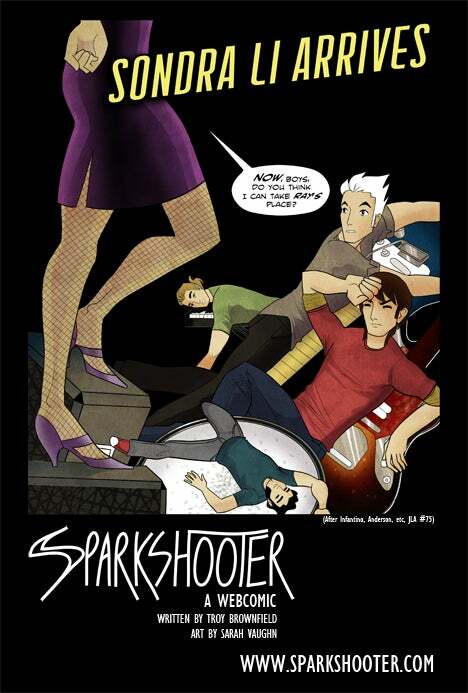 Also featured are his friends Jack Spencer (his manager, who also manages Sparkshooter) and Milton Shift, a disgruntled multi-instrumentalist that plays in a Parliament tribute band. The first 22 have all been stand-alone with a loose continuity, but #23 will kick off a run of strips taking place at one event, a pivotal showcase where Will's headlining. It's a lot of fun, and I try to really get the moments that make being a struggling local musician both exhilarating and aggravating. I'm writing the September and October issues, and I can't say a lot about them. An old enemy comes for revenge on Sela, and our heroine gets rocked to her core by something that she discovers. No bulls--t; this is a legitimate, emotionally charged moment that has substantial implications for the interior life of that character. I'm proud that Joe Brusha and that gang trusted me to write it. My friend Tony, who drew Grimm Fairy Tales: Myths and Legends #23 and 24, got his Albert Einstein: Time Mason Kickstarter campaign funded in 24 hours! I'm thrilled for him. It's also cool because Tony is drawing a project that's been written by me, screenwriter David Vienna, and rockabilly legend Larry Collins. We'll talk about how that team came together down the road, but I want to encourage people to support Albert Einstein: Time Mason (yes, the first planned issue was funded, but you can help fund the whole mini!) and dig Tony's work.